Tomorrow is World Tapas Day! We at Willamette Intl Travel love any excuse for delicious food. A month ago, WIT Agent Nancy embarked on a cruise through the Mediterranean, kicking off the trip with a few lovely days in Barcelona. Ciudad Condal was suggested by the front desk staff at the Citadines Ramblas and also by our guide from Spanish Trails the following day. Prices are very reasonable and food is excellent. The wait staff asks if you are English-speaking. And if you are, they make sure your waiter speaks some English — and the menus can also be provided in English. We ate here twice; once inside and once at their outdoor seating area. Ambiance is Catalan. Wood floors, tables that are unsteady, loads of collectibles and kitschy stuff to catch the eye. Waiters are efficient and maybe a bit brusque, as the restaurant was busy. There was always a line out the door. The drink menu was varied with sangria, wines, beers, cocktails, coffees, teas, sodas, etc. A bottle of good white Catalan wine was 12 euros. Catalan is known for its Iberico ham and other charcuterie as well as their cheese. There was a wonderful market across from our apartment with loads of takeaway food, breakfast goodies, smoothies, wine, bread, soups–as well as “regular” grocery items. Thinking about Spain? Who isn’t, one day or another? Give us a call at 503-224-0180 or email info@wittravel.com and let us plan the perfect vacation in Spain for you and your family. Learn more on Spain’s official website! Does this post look familiar? That’s because we featured World Tapas Day on our blog in 2016! Read it here. Portland Bites? Did you know that from June 12 to 18, you can join Spain on a culinary expedition right here in Portland? Explore Spanish gastronomy in small plates in select restaurants throughout Portland, and enter a chance to win a trip to Spain. (Toro Bravo, Bar Vivant, and more!) Click here to find out more. It’s hard to beat Barcelona’s cosmopolitan air, tasty seafood dishes and playful Gaudi architecture. However, when you’ve explored the city for a few days, it may be time to hit the road and check out nearby locales. Simple daytrips are just a brief drive/train away—don’t leave Northern Spain without a trip to the countryside! Our friends at Spanish Trails do a remarkable job taking our clients on day trips in and around Barcelona. Our clients always come back with great feedback. Call Wittravel to arrange a fun excursion hiking, wining, dining, and more. Montserrat. 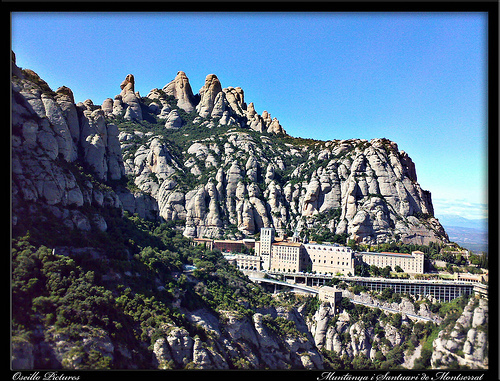 For almost 1000 years, monks have lived atop the serrated peak of Montserrat. Legends have it that shepherds witnessed an image of the black Madonna, La Moreneta, in a cave on the mountain. Since then, the site, church and monastery have been a pilgrim magnet. You can take a train from the city or combine it with a day tour around the Penedes wine region. Girona. Explore the walled and Roman city of Girona, which still has one of the best preserved old Jewish quarters. Check out the world-famous Gothic Cathedral and the Jewish heritage center of Bonastruc ça Porta. Get a feel for Mediterranean lifestyle and delicious cuisine. Figueres and Salvador Dali. Take a personalized day trip to Figueres, and visit the memorable museum of the surrealist painter Salvador Dali. 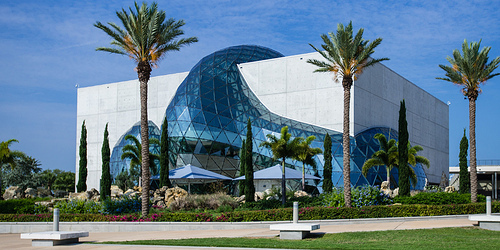 The museum was designed by Dali himself and houses a number of his works: paintings, sculptures, furniture and jewelry. Don’t miss the labyrinthine Dali House museum in nearby Port Lligat, and the picturesque Cadaques, the historic home to many of Catalan’s famous artists including Picasso. La Garriga. Just 20-40 minutes from Barcelona lies a village with beautiful medieval buildings and hot springs, the latter whose curative properties have been in use since Roman times. You can stay at a local villa spa and enjoy these amazing natural springs with tea and a massage. Costa Brava. Follow a guide out along the Northern Spanish coast and explore high winding cliffs and hidden coves. Check out unforgettable views, snorkeling opportunities off of secluded beaches and beach front dining. Guides will enrich your knowledge of the history and traditions of Catalunya. Like water sports? Book a family kayak trip with professional guides! Pyrenees. Always dreamed of a Pyrenees adventure? Now you can hike up through these panoramic trails, explore charming medieval villages and enjoy beautiful streams and waterfalls and country dining. Sitges. Looking for a spot of sand to stretch out on? 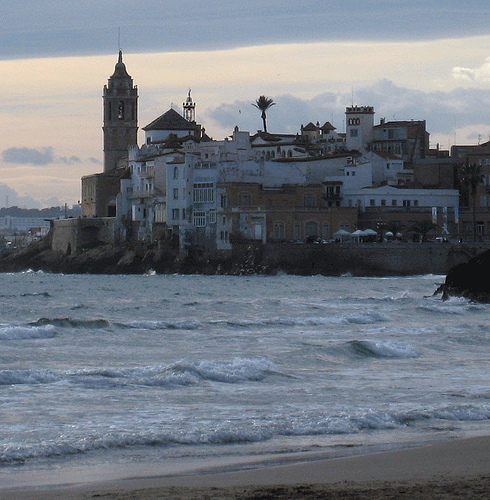 Head to Sitges for some summer sun, just 45 minutes south of the city. Despite crowds on the nicest days, it’s still a great place to check out. Many of these excursions are available through our partners at Spanish Trails, so give us a call and we’d love to set one up for you. We can also arrange flights, accommodation, car rental, and trains. Several WIT Clients have traveled around Spain and would love to give you their firsthand tips and recommendations! Call us at 503-224-0180 or email info@wittravel.com.